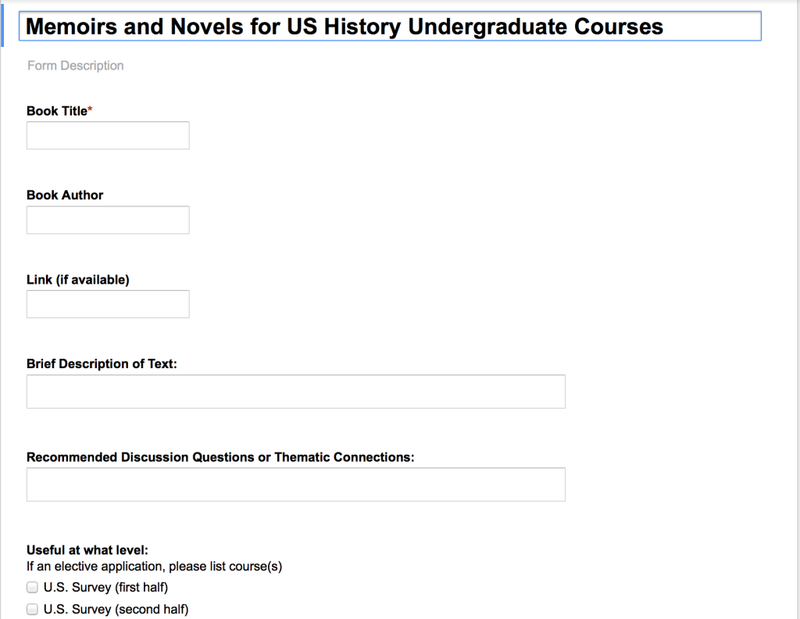 Help us create a database for memoirs and novels in U.S. history courses! Katherine R. Jewell has created a database for memoirs and novels useful in United States history courses. Click the above image to share your ideas. What has worked for you, and how? Stay tuned for future posts discussing the results, or view the full list here. First assignment: Conquest vs. Contact?